Are you looking for a healthy platter of sushi to take to your next function, or perhaps for your family get together? 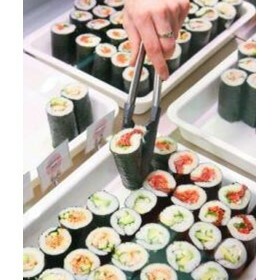 Bar Sushi have platters of all different sizes to suit any occasion - from small platters that you can have at lunchtime, to large platters that will be perfect for any social occasion, these beautifully presented platters suit your function and budget. Pick up from any Bar Sushi stores or delivered to your door. Bar Sushi continues to be the market leader of sushi in Albury and Wodonga. With a team qualified chef's in our purpose built commercial kitchen and friendly customer service staff in all our stores. Bar Sushi would like to welcome you to one of our four locations in Albury/Wodonga. Our stores stock a range of fresh and healthy products.